Why Does Deflation Cause the Currency to Rise? It has often been a paradox that the worse an economy turns down, the higher the currency rises. Cheer up – it is a bell curve. If the currency goes TOO FAR and the economy has no hope of survival, then it reverses and collapses into dust through the process of a Phase Transition. This is the Paradox of Fundamental Analysis where people try to craft these single one dimensional explanations of the world. 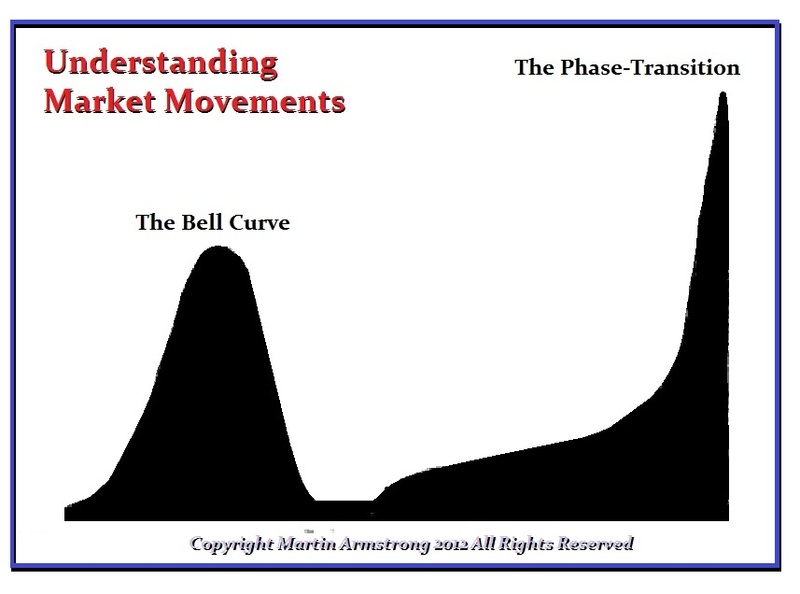 It does not matter what we are talking about interest rates, currency values, inflation, or deflation – it is all the same type of movement. Part of the RISE IN A CURRENCY during a decline is the rise in the currency value is the shift from PRIVATE to PUBLIC confidence during a decline in the ECM even on the short 8.6 year business cycle waves. This is called often the FLIGHT TO QUALITY where people want cash and dump assets. This is why the stock market crashes or whatever the sector is that absorbed the cash. 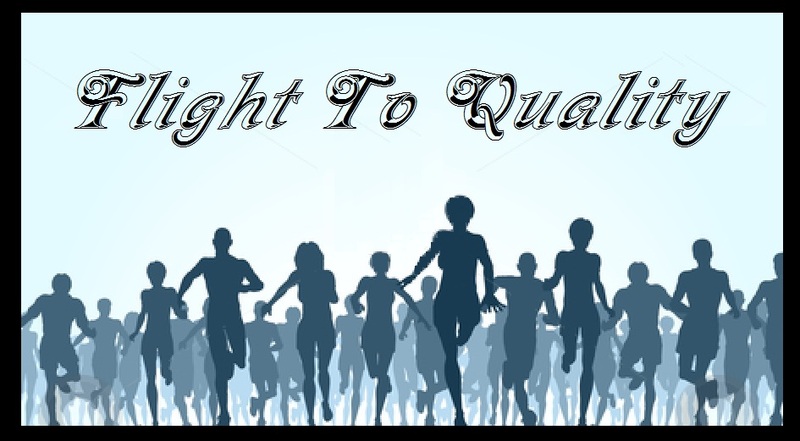 No matter what economy we look at, the currency will RISE during the economic decline driven domestically by this flight to quality. The US dollar rose to record highs during the Great Depression. This helps to turn the economy down as exports collapse as well. During the 1930s, this sparked the Age of Protectionism. 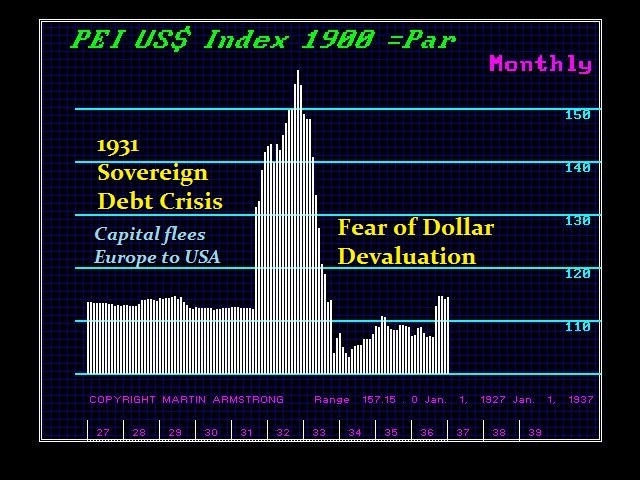 The dollar rose sharply into 1985 from its low going into 1980. 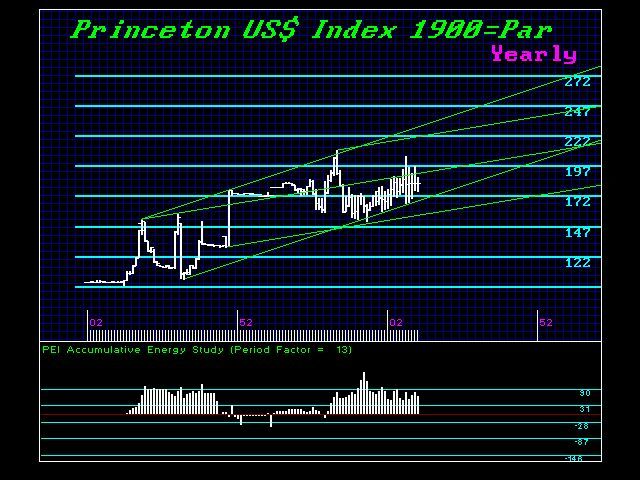 The steep deflationary recession drove the dollar to its highest point and as you can see our index demonstrates that the trend is not complete. Keep in mind that the coming dollar rally will unfold mostly after 2015.75 and the US economy turns down. 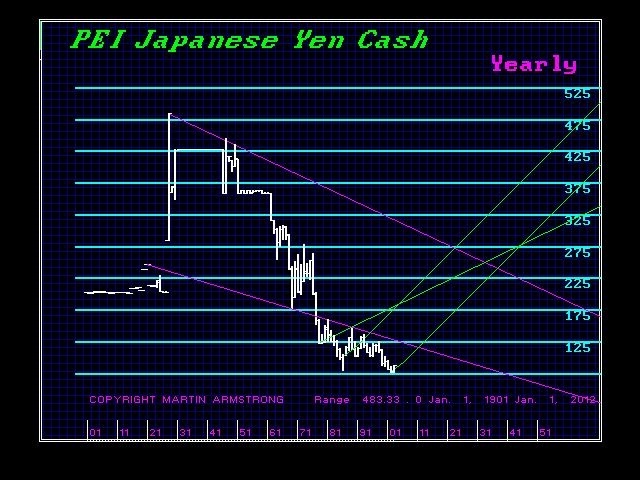 The collapse in the dollar against the Japanese yen came as part of the burst in the Japanese bubble that began from the December 1989 high. The rise in the yen was consistent with what I am describing, albeit people find this a paradox and expect the currency to decline with the economy. That portion of the trend unfolds when you cross the bell curve and head down. 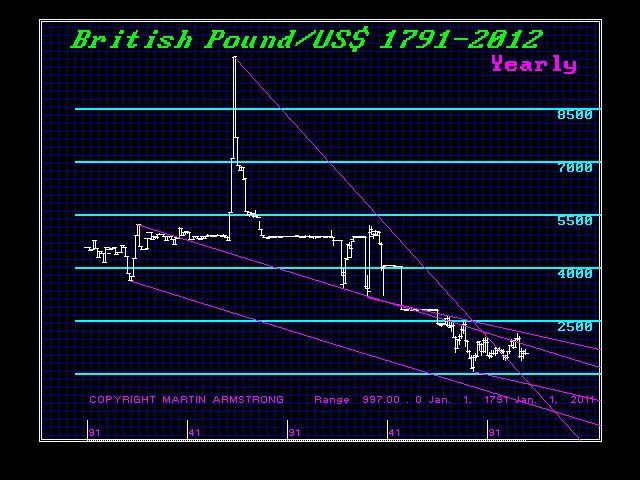 The British pound was the reserve currency of the world up until 1914. 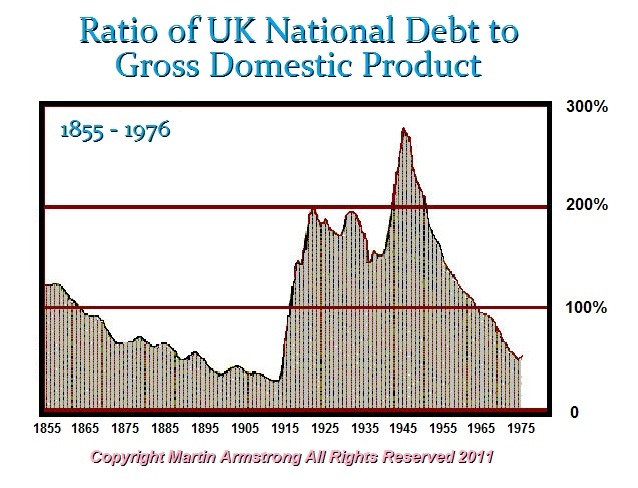 Thereafter, Britain entered the downside of the Bell Curve and this was driven by debt expansion. When Britain entered World War I, its debt ration exploded and Britain began the collapse of its currency at that point on a sustained basis. 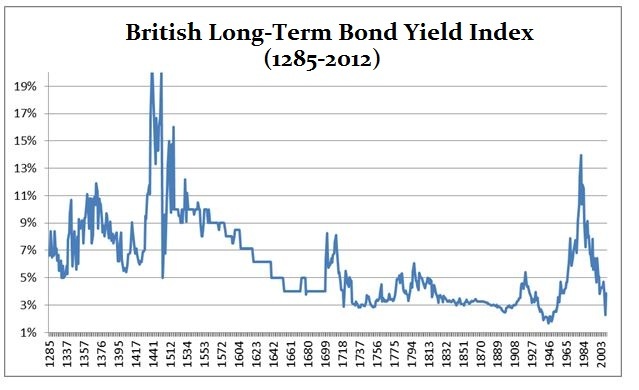 We can see the decline in interest rates into the 1900 period. Thereafter, we see a trend with rising rates. This is what we will see with the Euro as it completes its deflationary rally that will push Europe over the edge. Their exports will drop and tax rates will rise further. The early stages of the deflation are marked by the flight to quality and this will give way when the economy becomes unsustainable due to the high value of the currency. Once the euro peaks, then the foreign capital will sell aggressively. It is just a matter of time.